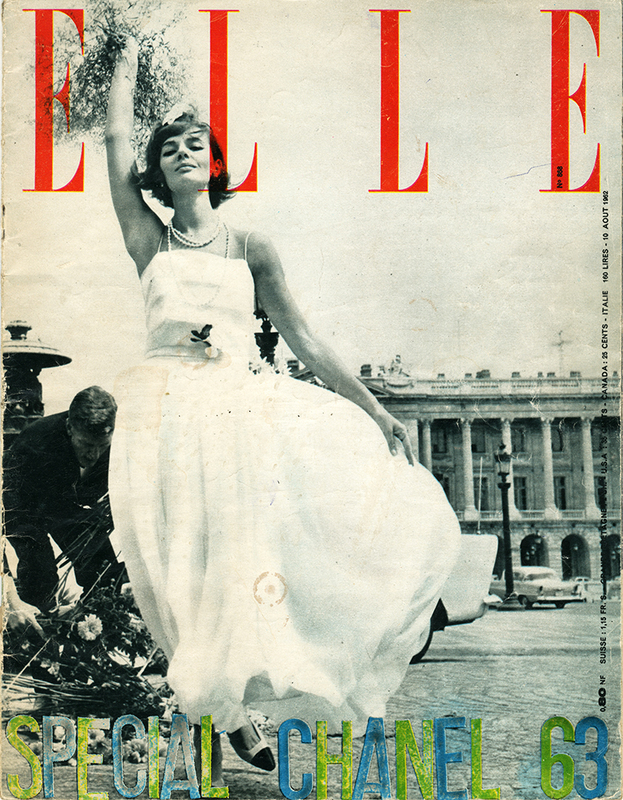 This image shot by Duffy in a “silent, deserted, unusual Paris” was his first of many covers for French Elle magazine. As well as the cover, Duffy shot two separate features for the issue. The first was the Channel 1963 collection modelled around the streets of Paris. The second was a feature titled “great start to the knitting race” with models in the Swiss Alps.